RM199 for HTC Flyer from Maxis? HTC Flyer, as low as RM199 with Maxis. Yeah. It’s real. There’s even a Youtube video of Maxis Chief Operation Officer (COO), Jean Pascal Van Oberveke verifying this news. HTC Flyer is being sold at Recommended Retail Price (RRP) RM2,499. With this RM199 HTC Flyer from Maxis, this is a very generous discount, roughly 90%, discount or RM2,300 discount. 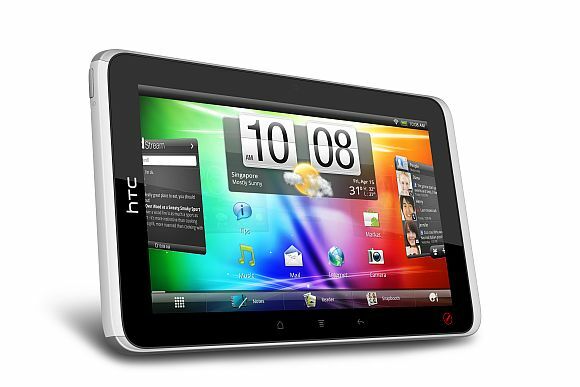 HTC Flyer will be available on all Maxis centers and Maxis Exclusive Partners on Thursday, May 12, 2011. I really wonder what will Maxis offer. More information on Maxis HTC Flyer package will be unveiled on May 12, 2011. Stay tuned! Maxis to launch HTC Flyer & HTC Desire S this Friday, April 15, 2011!!! Maxis HTC Desire S Price Revealed!!! Sony Ericsson Xperia Arc is here already & more Android Smartphones & Tablets Coming to Malaysia! iPhone 4 is REALLY in Malaysia already!!! Tags: htc flyer launch date malaysiahtc flyer malaysia pricehtc flyer maxishtc flyer maxis contracthtc flyer maxis pricehtc flyer price in malaysiahtc flyer release date malaysiais it true maxis htc flyer RM199jean pascal on htc flyermaxis coo jean pascal van overberkmaxis RM199 htc flyerprice of htc flyer in malaysiarm199 htc flyerRM199 htc flyer maxissoyacincau htc flyerwhat is htc flyer price in malaysia?what is the price of htc flyer in malaysia?when will htc flyer be available in malaysia? Well, the launch of HTC Flyer has some issue with the availability of stock, so it’s delayed. Next story ROI for Motorola Xoom is available for Maxis! Previous story Maxis HTC Desire S Price Revealed!! !